Software that reduces time to commercialisation and increases profitability. 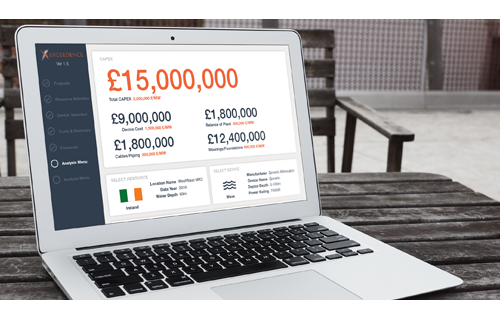 Use it anywhere – Cloud based for 24/7 access, built in 20 currencies. FIRST TIER OF OUR CLOUD SOFTWARE IS LAUNCHED! New investment in clean energy reached US$333 billion in 2016 and this is expected this to grow by 40% by 2022. How is the funding getting green lighted from governments, corporations and investors? Decisions are based on a mixture of handbuilt tools, spreadsheets, consultants and a patchwork of other packages. We are presenting a new way to technically and financially model, analyse and optimise renewable energy projects and to connect developers to governments and investors through a cloud-based software. We have a team that crosses ICT, Fintech and cleantech with extensive knowledge in the wind, wave and tidal energy sectors. 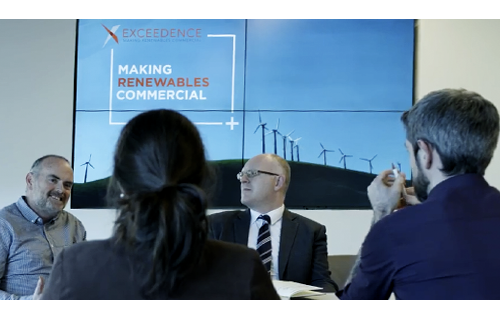 Our engineers have worked in renewable energy projects around the world in commercial and R&D roles. Our software team have 30+yrs enterprise development in bluechips. We are the first to offer an end-to-end and standardised tiered decision support techno financial software to the market presented on a Microsoft Azure platform. Exceedence software combines resource and technology to financials, costs and revenues, creating a KPI dashboard with Yield, Capacity Factor, IRR, NPV and cash flows. Use it for analytics, optimisation and what-if planning in feasibility, Due Diligence and M&A. Exceedence software users around the world and we have projects as far afield as Australia. We work with SMEs and Multinationals alike and are co-developing software product with Wood PLC. 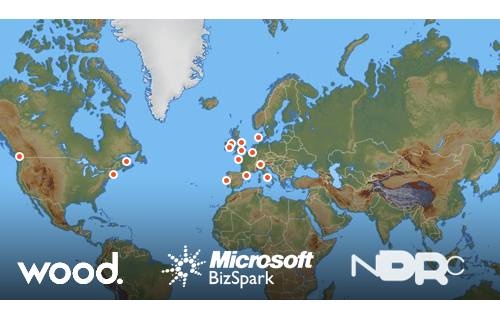 We are a Microsoft Bizspark Plus company, a member of Climate KIC, both NDRC and Open Data Incubator alumni and we contribute to IEC standards.